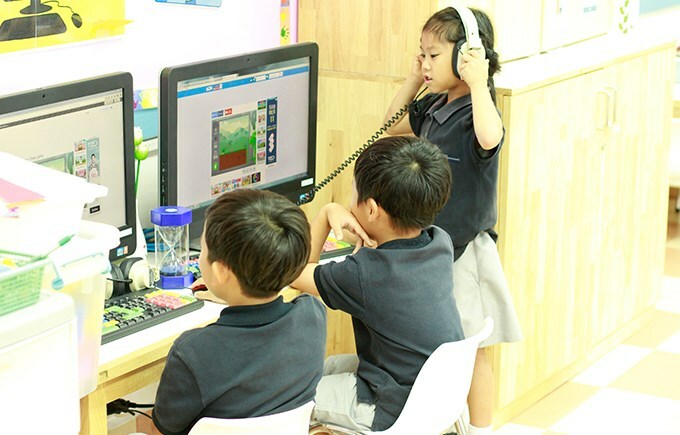 In Year 1 and 2, the teaching gradually becomes more formal than in Reception. 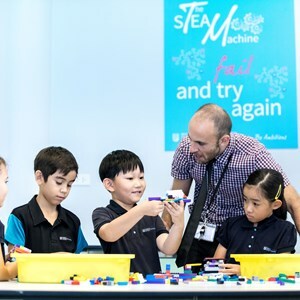 Children are still provided with plenty of opportunities for practical, hands-on learning. 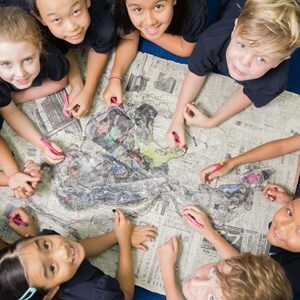 The curriculum is broad and enriched with the principles of Global Citizenship. There is a strong focus on teaching in ways that promote and account for the stage of development of each individual child. 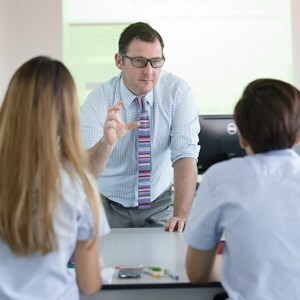 Each class has a highly-qualified teacher and a teaching assistant, supported by a team of specialists for Music, Drama, Physical Education and English as a Second Language. 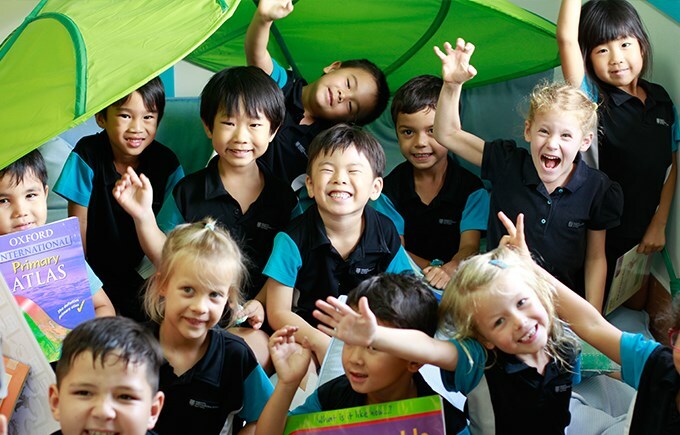 The classrooms are cheerful, stimulating and welcome – an international school environment where children feel safe and secure to learn. 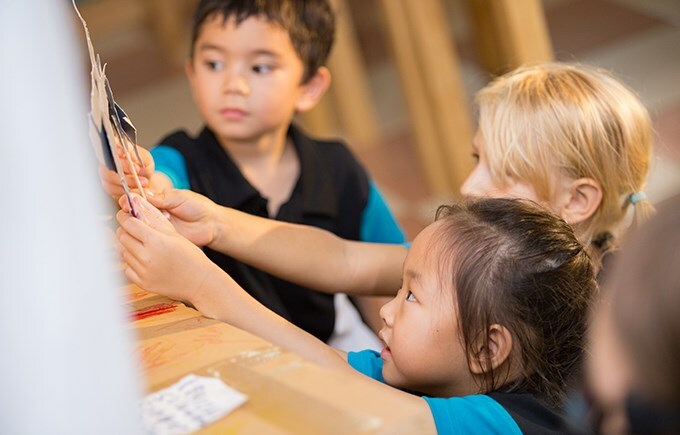 Year 1 and 2 pupils explore all the core subjects: Literacy, Mathematics, Science, Geography, History, Art and Design, Music, Physical Education, ICT, Design Technology, Library Skills, Thai Language and Culture, and Personal, Social and Health Education. 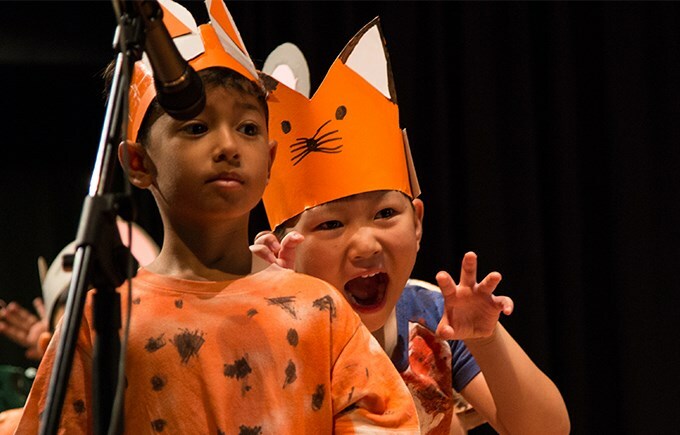 To help our children develop their language skills there is a strong focus on speaking and interaction, with an emphasis on role play to support topic and literacy lessons. All pupils receive Music and Drama lessons as part of the curriculum. 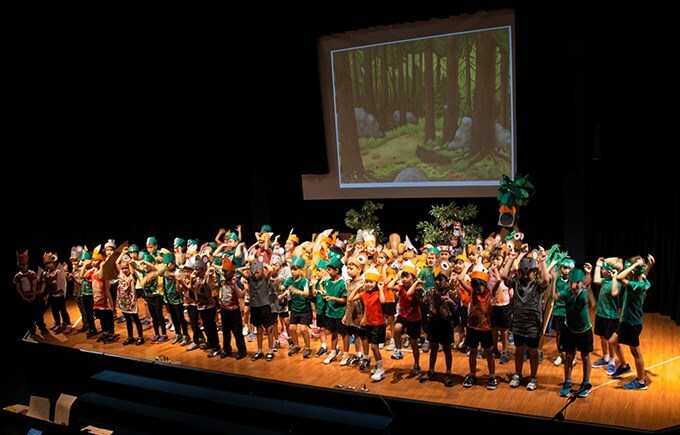 The Year 1 pupils stage a full theatre production each year in our Globe Theatre, and all children are encouraged and supported to sing, dance and act in regular assemblies and concerts. Children have high-quality Physical Education (PE) lessons every week that rotate around swimming, athletics, cross-country running, basketball, football, dance and gymnastics over the course of every term. What students learn in the classroom is enhanced by trips which are linked to the topics they are studying. 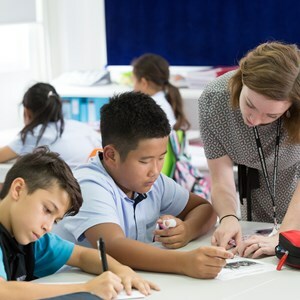 Specialist English language tuition is provided for pupils who are not native speakers, either in the classroom or in small specialists groups depending upon their ability. Formal and informal assessment of each pupil’s level of attainment takes place throughout the year to measure progress and help identify the next steps in learning. 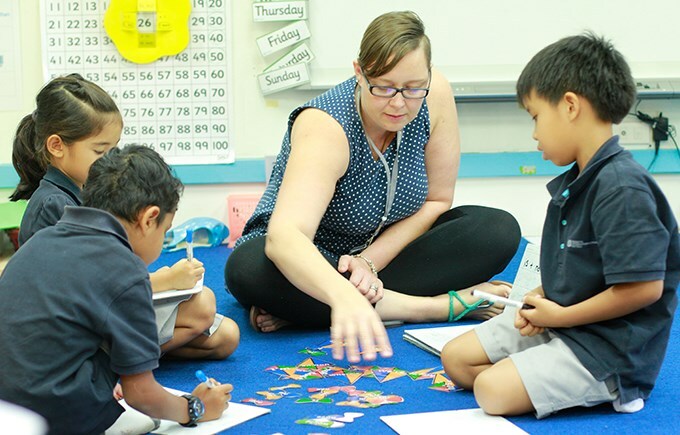 The fact that teachers assess and monitor each pupil’s progress over the course of the two years means that learning experiences can be customised to ensure that each child is being challenged, motivated and supported. Joanne Smith, Assistant Head of Primary. Hannah Naowasuk, Assistant Head of Primary (KS2). Michelle Brophy, Head of Year 1. Suzi McHale, Head of Year 2. See first-hand what Regents has to offer!